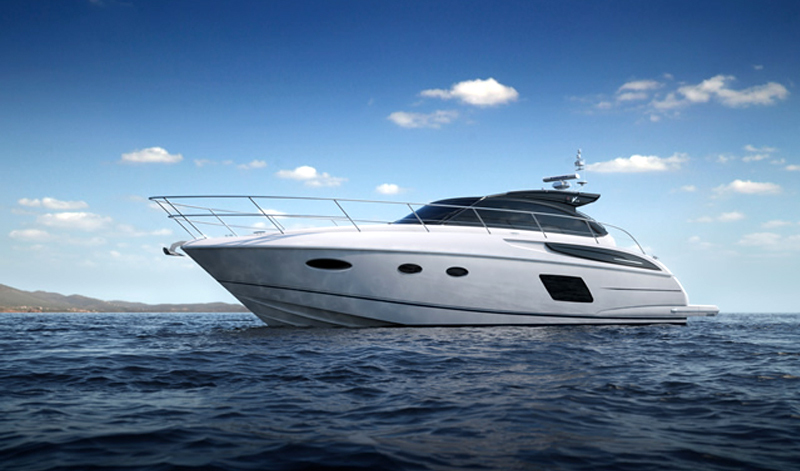 Princess Yachts, the solid established British brand that has stood the test of time as well as any boat builder in the world, successfully launched no less than 6 new models in 2013. 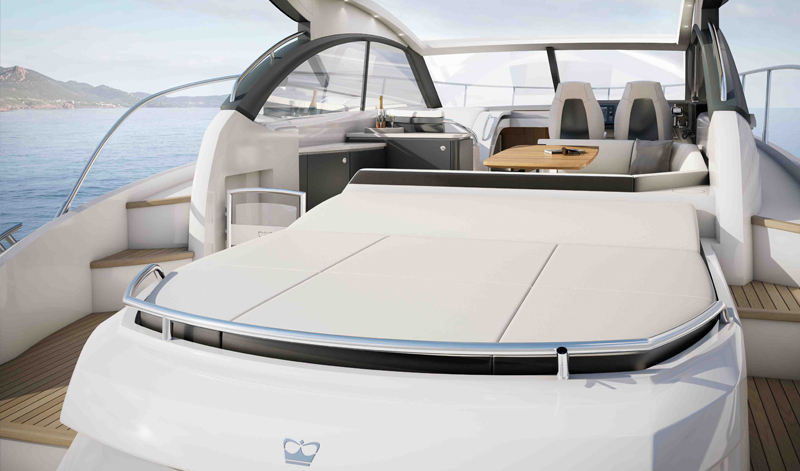 Recently they brought their new V48 Open model to the 2014 London Boat Show. This V48 being seen for the first time in London, has oodles of appeal for the boat owner who has aspirations to swank around the Med, soaking up the sun, and looking cool in an open design sporty job, with a reliable quality build spec, and a seaworthy pedigree behind it! Weighing in at close to 52ft (15.8 metres) and with a speed range of 32 to 34 knots with a pair of 435 hp Volvo IPS 600’s, this is a motor yacht that can get you back to the marina well in time for dinner in the club house. And, you can have the dock-watching voyeurs full of admiration, as you make the berthing procedure look like a cakewalk, with a few casual flicks of the IPS joystick! For the uninitiated, The IPS system from Volvo is an application of the POD drives system that has been in existence on commercial ships for many years. The 435-hp IPS600 is one of seven diesel systems available from Volvo Penta. Thanks to joystick controls, which can effectively move the boat sideways, the IPS makes docking much easier and in our opinion, having tested it on a sea trial, its much safer and definitely less stressful, for boaters who may be new to handling motor yachts. At the heart of the IPS system is some very clever software tucked away in little black waterproof boxes, and for a marine application that’s not a bad thing! Having a computer and software at the heart of pod drives means that upgrades and modifications are as simple as installing new software. Below decks, the V48 Open provides accommodation for up to 6 guests with two large en-suite cabins including a full beam owner’s stateroom amidships and a forward guest cabin, which can be specified with an optional ‘scissor berth’ system to create a double or twin beds as required.